Multi-Protection Daily Defense Sunscreen Anti-Pollution Broad Spectrum SPF 50, 1.0 oz. Leaves skin pure, radiant and flawless. 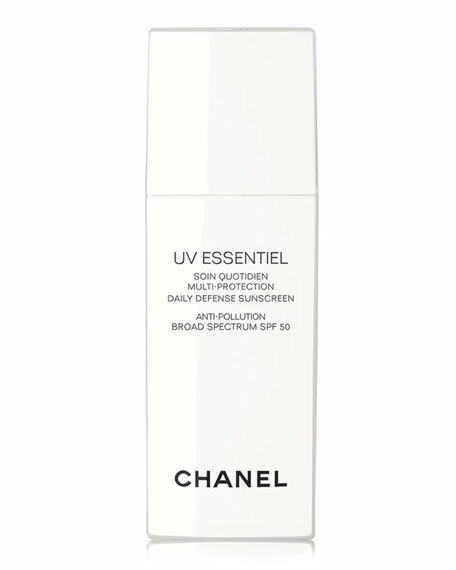 Through a major scientific breakthrough, Chanel Research introduces an adaptive skincare technology for tailor-made defense from UVA and UVB rays, free radicals and pollution. Combined with the powers of the Tiare Flower, this unique skin protection complex adjusts to the level needed based on environmental conditions. The lightweight, non-oily texture moisturizes skin as it protects, in two different SPF levels. For in-store inquiries, use sku #1719720.